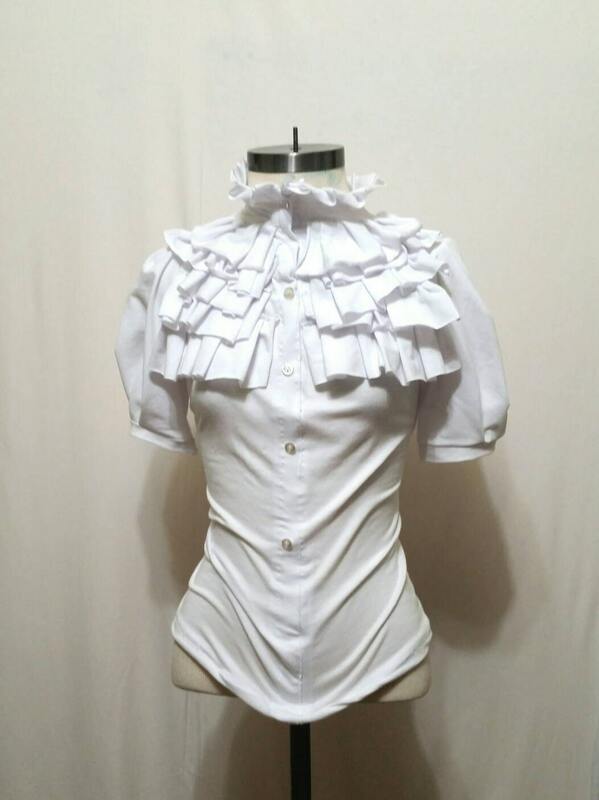 White Ruffle Top Blouse with Puff Sleeves. These are so comfortable! 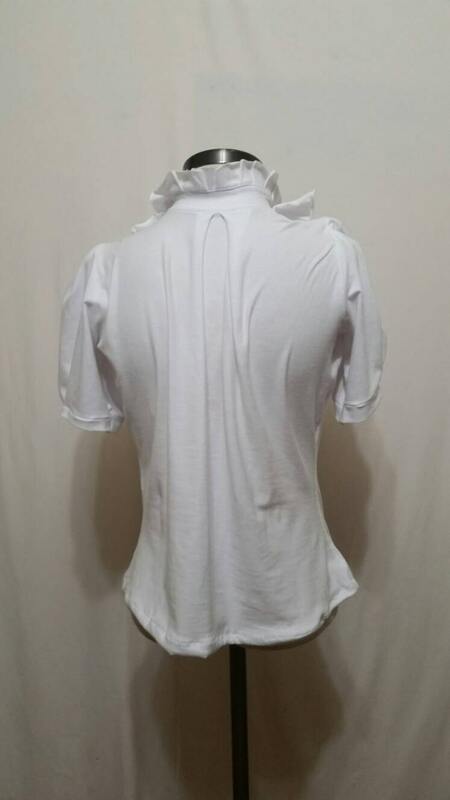 Made of light weight but durable 4 way stretch cotton jersey this will feel like your favorite tshirt when you wear it but be strong and sturdy for frequent wear! 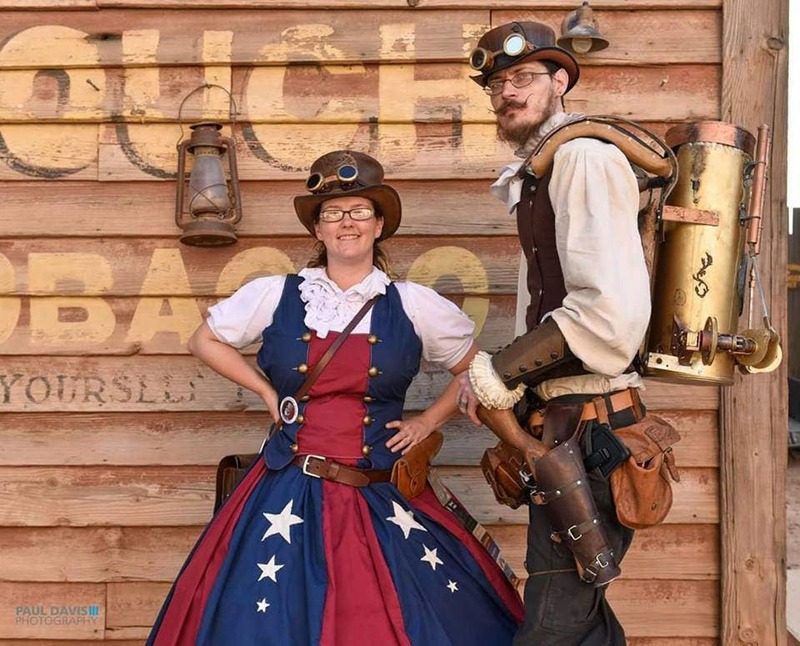 Great for the romantic look, steampunk, pirate, neo victorian, or gothic outfits. Available in four sizes small (32" bust) medium (36" bust) large (38" bust) and extra large (42" bust). 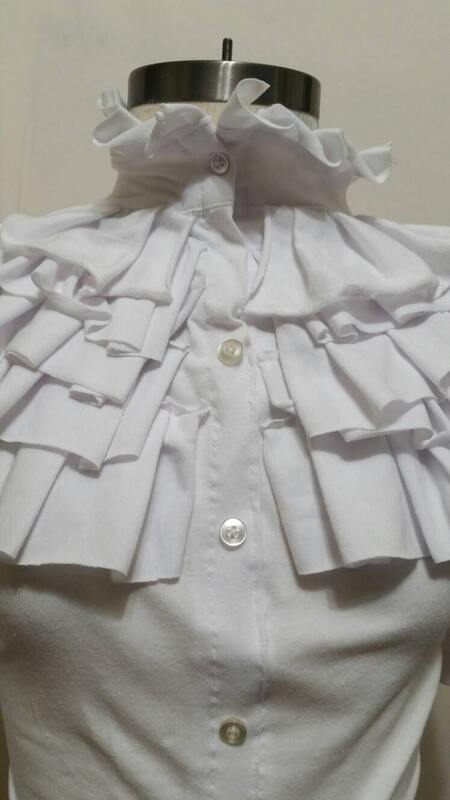 Shirt is sewn solid until middle of ruffles to avoid pulling due to the stretch of the fabric and features faux buttons down front. Neck button is a functional button. 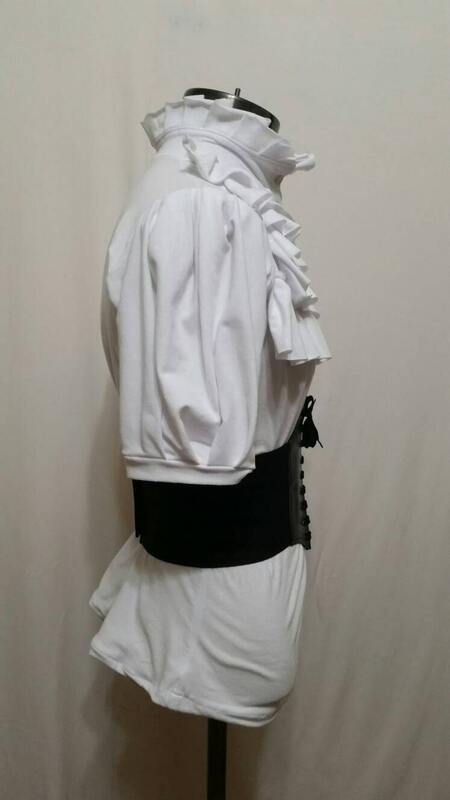 -Sleeves are Victorian Puff style. Absolutely perfect! Cool, comfy, stretchy, and ruffly. Great shirt!! Nice and stretchy and fit my DD’s perfectly. The shirt really made my outfit!